What kind of design do you work on? I work as an ocean artist, designer, and scientist. 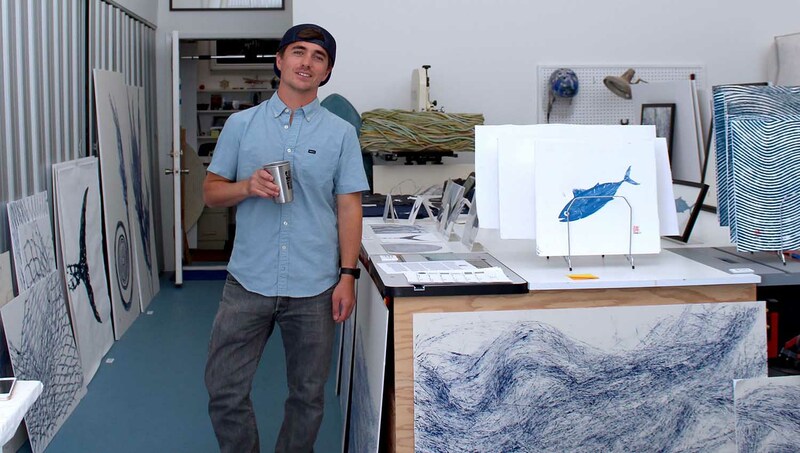 I studied ocean science and sculpture at Stanford and I currently balance my work as a field biologist with the Monterey Bay Aquarium while making artwork in my studio/gallery in Santa Cruz, CA. Tell us a little about your experience and what you stand for? My life’s work revolves around understanding the ocean and communicating how valuable/fragile ocean resources are. As a scientist, I use electronic tagging techniques to monitor the migratory patterns of threatened bluefin tuna populations, and as an artist I focus on highlighting the negative effects of plastic pollution on ocean wildlife. I grew up surfing and making surfboards in Santa Cruz, and I feel a responsibility to protect the environment that brings me joy, inspiration, and a livelihood. What’s been your favorite project so far and why? When I was in grad school I was lucky to be a student artist-in-residence at Recology, the San Francisco landfill. I made a life-size sculpture of a whale tail from rope and other reclaimed trash, and I displayed it for a year at the San Francisco airport. The viewer feedback around the negative impacts of marine debris on whales and other marine mammals was overwhelming. I’m proud of the conversation this sculpture started and the wide audience it reached. What's the link between travel and inspiration for you, personally? Most of my artworks are inspired by my time travelling as a marine biologist. I’ve spent the past three summers working in Japan studying bluefin tuna, and as a result my recent artworks have drawn significantly from Japanese culture and iconography. 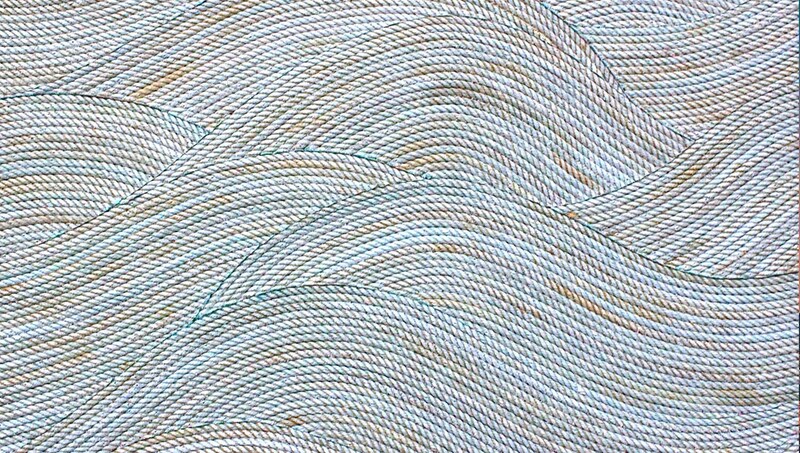 In particular, I have been inspired by a Japanese printmaking technique called gyotaku (fish printing), and I’m using reclaimed fishing rope to create traditional Japanese representations of water. I’m excited that I had my first art show in Japan this summer! How do you stay creative? Any tips for other Outsite creatives? For me, the cross-pollination of my scientific research, travel, and artwork is the main driver of my creative practice. I feel lucky to have carved out an interdisciplinary path, and I urge others to find similar synergies between their own life passions. My opinion is that nobody should have to sacrifice one passion for another: combine them, work hard, and follow your own path. How can people follow along with your work? I try to keep my instagram account @ethan.estess.art.science updated with new artwork/scientific results/ocean adventures, and my website ethanestess.com has a more complete portfolio of my artworks. I always appreciate viewer feedback and questions about the artwork.